Raspuri Mangoes have an excellent flavor and are juicy in texture. They are rich in carotenes which is a pre cursor of vitamin A. This mango is grown widely in the south of India, primarily Karnataka. The Raspuri Mangoes are largely grown and eaten in Mysore, where their popularity is unrivalled. Like the Alphanso and the Totapuri mango, the Raspuri mango is used in the making of ice creams, yogurts, smoothies, juices, jams and jellies. 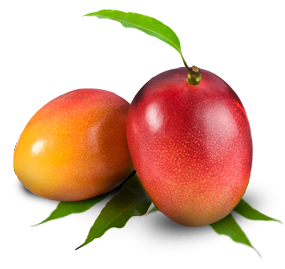 The product is derived from fresh, sound ripe, Raspuri Mango fruit (Mangifera Indica L Anacardiacae VAR Raspuri). Fully matured mangoes are harvested, quickly transported to fruit processing plant, inspected, Selected high quality fruits go to the Atmospheric controlled ripening chambers, fully ripened mango fruits are then Selected and washed ,deseeded, pulped, centrifuged, thermally processed and aseptically filled by HTST process into pre-sterilized bags or OTS cans which are hermetically sealed processed and cooled. Characteristic prominent aroma of natural ripe Raspuri Mango and free from any fermented & offensive flavor. Particularly free from scorched or caramelized flavor. Taste Characteristic typical acidic sweet taste of natural ripe Raspuri Mango. Free from any off taste. Total Plate Count: <10 CFU per gram. "Commercially sterile", free from bacillus, osomophilic yeast, coliform and any other pathogenic microorganism and fit for human consumption. Product is free from added sugar, dyestuff, synthetic flavor, stabilizers, pesticides & herbicidal residues and radioactive contamination. GMP is applied in the manufacturing process to meet the laid down given standards by HACCP by ISA Cert B.V Netherlands, SGF (SGF International E.V) and ISO - 9001 (AQA International). In conformance with WHO recommendations & EC directives. Jus! Aseptic fruit pulps are available in (215 +/- 2 kgs) bags in drum. Aseptic fruit pulps are filled on US-FDA approved aseptic filler into pre-sterilized, high-barrier bags placed in steel drums internally painted with food grade lacquered and drum tightly closed to ensure no free space inside the drum. Jus! Canned fruit pulps are available in A-10 size (3.1 =/- 2% kgs) and such 6 cans in one carton. 80 drums per 20 ft container palletized or unpalletized. 6 x 3.1kgs A-10 cans in one carton and 1000 cartons in 20 ft container. It should be stored at cool & dry place below 20ºC. Preferably below 15 ºC for extended shelf life. Stored in ambient temperature in cool and dry place at a 25°-30° C.
24 months from the date of production under above mentioned storage conditions. The contents must be immediately used after opening the bag or can. Jus! Aseptic and canned fruit pulps can also be supplied as per customer’s specification. Beverages: Juice, Nectar, Fruit drink, Fruit Punch, Fruit Cocktail. Dairy: Milkshakes, Ice creams, yogurts, toppings, deserts. Baby foods: Juices, strained fruit, fruit drinks, cereals.